This diamond pendant features a carat-and-a-half of gemstones! 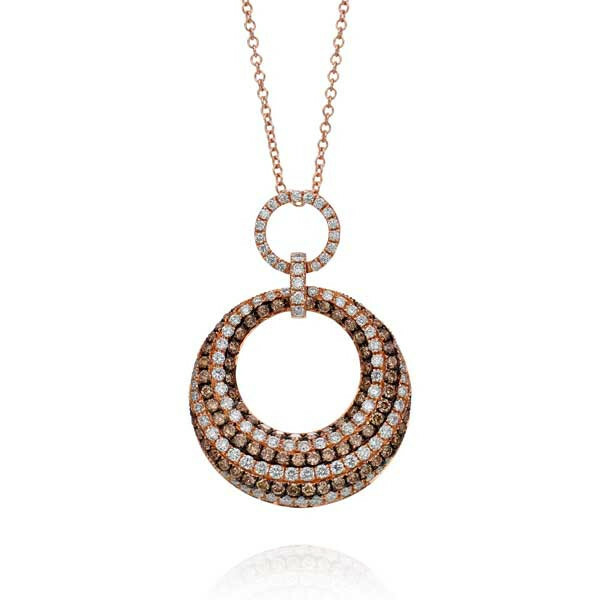 Crafted in 18kt rose gold, a white diamond bail is attached to a diamond "O" and leads to a bottom-heavy open circle filled with champagne and white diamonds in alternating rows of color. All three elements are suspended from an included chain. Whoever wears this piece of jewelry will be able to "show their stripes" in style!